How to Permanently Delete an Instagram Account - Instagram is one of the most popular social media at the moment. Almost everyone uses it, including you, right? But, have you ever felt bored and didn't want to play Instagram again for some reason? Either because it's too disturbing privacy or a lot of content that you don't like. Of course, there are many reasons that usually make you lazy to play Instagram again. One way you can do not open Instagram again is to deactivate or delete your Instagram account. How to? See the following. This is how to delete an Instagram account via web or smartphone. For those of you who want to disable or delete your Instagram account, there are many ways you can do it, one of which is to delete it via the web using a laptop or PC. This is how to delete an Instagram account via the web that you can try. Go to the help.instagram.com page. Select the 'Manage Your Account' menu. Then continue by selecting the 'Delete Your Account' menu. Select 'How do I delete my account?'. Then, from the options available, select number one and click 'Delete Your Account' page. Choose one of the reasons why you want to delete your Instagram account. Finally, enter your Instagram account password or password, then click 'Permanently delete my account' if you are sure and say goodbye to your Instagram account. After knowing how to delete an Instagram account via the web, then below will explain how to delete an Instagram account via a smartphone. The following are the steps. Open the Instagram application on your smartphone, then enter your Instagram profile. Select the triple line icon in the upper right corner, go to the 'Settings' menu located at the bottom, then, select the 'Help Center' option. Next, you will be direct to site help.instagram.com. That's how to delete an Instagram account via web or smartphone that you can try. Easy and practical, right? The above methods will delete your Instagram account forever. But, for those of you who only want to disable it for a while, the method is as follows. If you are not ready to delete your Instagram account forever, just do the following method. This is how to temporarily deactivate an Instagram account. Enter the www.instagram.com page through the browser on your smartphone or PC or laptop. Perform Login and enter your Instagram profile page, then select "Edit Profile". After entering the 'Edit Profile' page, scroll to the bottom, then there is the option 'Temporarily disable my account' or 'Temporarily disable my account'. Choose one of the reasons why you want to deactivate your Instagram account. Finally, enter your Instagram account password or password, then click 'Temporarily Disable Account'. Instagram will also disable your Instagram account for a while. After the account is deactivated, you can reactivate it easily. 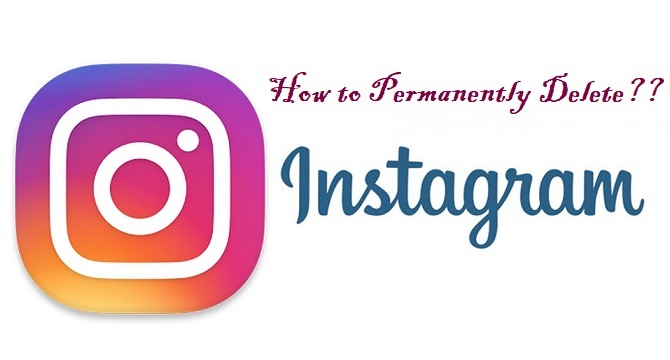 How to activate an Instagram account that has been temporarily deactivated, namely, login to your Instagram account as usual, then after logging in, your account will automatically reactivate and be used as before. So, you don't need to worry if you want to deactivate it temporarily, because the way to reactivate it is very easy. That's how to disable the Instagram account for a while and how to reactivate it. So, for those of you who aren't sure to leave the world of Instagram forever, you better just turn it off for a while. Good luck! 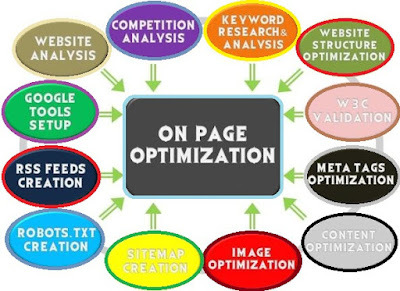 On page SEO Optimization on Blog is one factor of 200+ factors that play a role in increasing page rank, SEO optimization on the same behavior, both blogs are made with blogger platforms, WordPress platforms or other platforms, the better on-page SEO optimization, blogs will have opportunities better to be displayed on the first page of the SERP. Actually to do seo on page which is preferred by search engines is very easy to follow, the important thing is we know how, many steps we can take, all of which are focused on how to manage the code structure of the site from within the site, so that it is preferred by search engines . URL address that is made short with easy to understand structure. Use long tail keywords for titles. Include LSI keywords in the article. From the two examples above regardless of other factors, Google will more prioritize the Title on Title 1, because, in Title 1, the SEO On page Optimization keyword is placed at the earliest, while the example of the keyword 2 title is placed in the middle. Conclusions that we can take regarding this title tag are, try every time we make an article, the keywords that we aim at we put at the beginning of the title of the article to make it more friendly. try not to include the date and category, the shorter the URL address, the better in the eyes of the google search engine, for example writing a good URL address: https://www.blogboosters.net/onpage-seo-optimization.html, URL address like this is the best, short, clear and easy to understand. 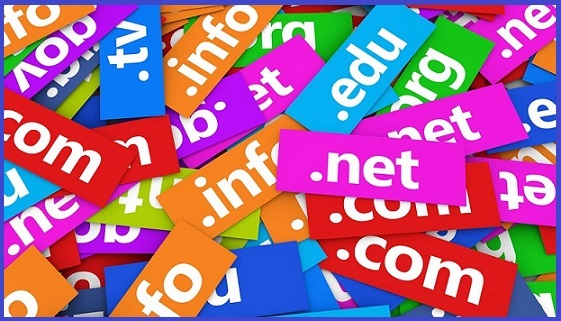 why is the URL address so important in seo on page optimization ? just like the title tag and content of the article, the URL address is a guide for search engines regarding the niche of the article that we make. Adding images to articles will have a big influence on your article, images make our articles alive, more interactive and not easily bored in the eyes of visitors, the more endings linger on our article pages, the higher the search engine's bounce out rate. Please enter at least 1 image in each article that you make, so that the image is friendly in the eyes of search engines, it is recommended that every image we enter must include the alt attribute, and try to have the same image as the text that we include. If you need to be compressed it will also be better, the important thing is that it does not affect the loading of pages that are long. Google is very concerned about the location of the keywords that we place in the article, the relevant articles will at least have at least one keyword repeated in the article, even though the keyword density in the article itself is controversy among seo experts who pay attention to keyword density. naturally, if you want to pay attention to the placement of keywords, it is highly recommended to put keywords in the first 100 words in the article, keywords that are placed earlier, indicate that the page is considered important. Long tail keywords are the main keywords that we develop into 5 or more syllables, even though keywords consisting of 5 or more syllables will not appear when we enter the search for keyword research, visitors will do more searches using the keyword form. create an article title that is a great opportunity for people to find by adding phrases that attract people's attention eg 2014, best, 100, most searched, most complete or others. If you want to enslave keywords that have high competitor values, it is strongly recommended to make long articles, for articles containing at least 1500 words or more, some industries that research SEO (SerpIQ one of them), prove that articles contain more than 1500 words or more, has the opportunity to rank better on the google search engine. therefore it would be better to make an article consisting of 1500 syllables or more each time we make an article by aiming for keywords that have high competitor value. LSI (Latent Semantic Indexing) means derivative keywords that have relations with the keywords that we are aiming for, it is recommended to enter at least 1 LSI keyword in the article that you created, by entering the LSI keyword, the article you created will have many opportunities to appear good on google search results, then what are the LSI keywords like ?, we better not just enter keywords according to our own predictions, because it could be the keywords we input and we consider LSI keywords, not necessarily keywords LSI by search engines. Therefore we must know how to find the right LSI keywords that match the main keywords that we aim at. From the search results of Google providing information about keywords related to the main keywords that we are aiming for, we can get 4 LSI keywords for on-page seo optimization keywords as above, namely Seo Onpage Checker, seo on page and off page, seo on page 2013 and seo on page WordPress. From the four keywords, we found above, we can use these 4 keywords to be developed in the articles we make, then how to place them, please place them anywhere in the article that you created. Make quality articles, articles that have good relevance with the keywords that we aim at, and never make articles from pasted coffee. a good article will give a meaningful point for each backlink that we point to the article. Thus the information that I can share about how to do On page SEO Optimization on Blogs, hopefully useful.